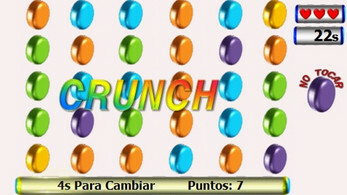 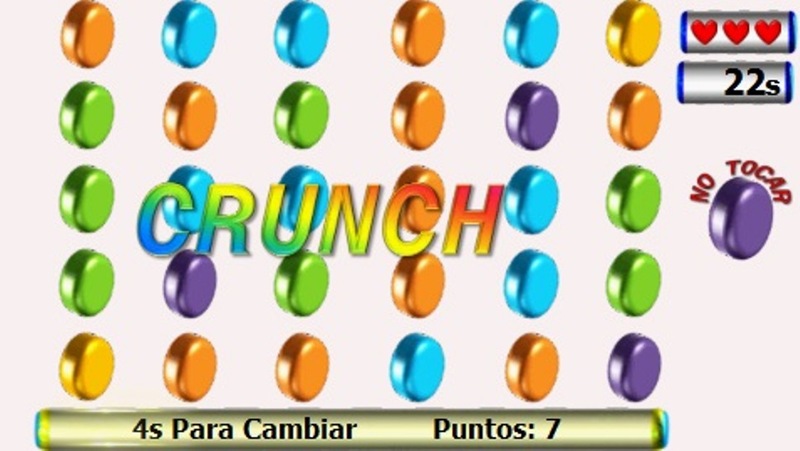 * "Crunch" automatically appears the last 3 seconds of the "time change" and will destroy the forbidden colors to add 1 second to the "Playtime". * "Game Time" and "3 Lives": If they reach 0 the game ends. 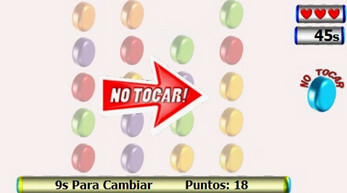 The game has 3 difficulties.